While many tech companies are suffering through the usual ups and downs of economic fortunes (or misfortunes…right, Facebook? ), it’s interesting to note some companies that continue to boom — and ask why. Case in point, Salesforce. Profits are up almost 65 percent in 2018, projections for next year are similarly bright, and they just partnered with Apple for the first time on custom iOS apps. 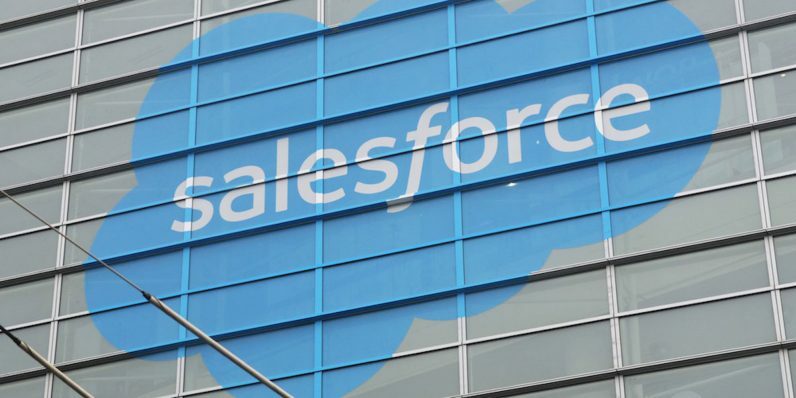 Why is Salesforce exploding? Because Salesforce, the world’s top customer management software, is a fast track for any company ready to incorporate real data analysis and truly transform for the digital age. That puts a lot of power and potential in the hands of those who can utilize all of Salesforce’s ingenious tools. You can join those ranks and get employed quick with the instruction in The Salesforce Certification Training Bundle. It’s discounted now down to only $24.00 from TNW Deals with promo code: GREENMONDAY20. This package offers eight courses geared to helping you best use Salesforce’s customer management abilities. From machine learning to cloud-based systems to building customer service apps, these courses cover everything a true Salesforce administrator needs to know. The training presents all the learning you’ll need to pass several different Salesforce certification exams, bonafides that’ll open doors in almost any field involving customer relations (which is all of them!). A nearly $1,000 value, get all this Salesforce training at over 90 percent off, just $24.00 with promo code: GREENMONDAY20.